14k yellow gold earrings with lilac chalcedony and diamond cluster. 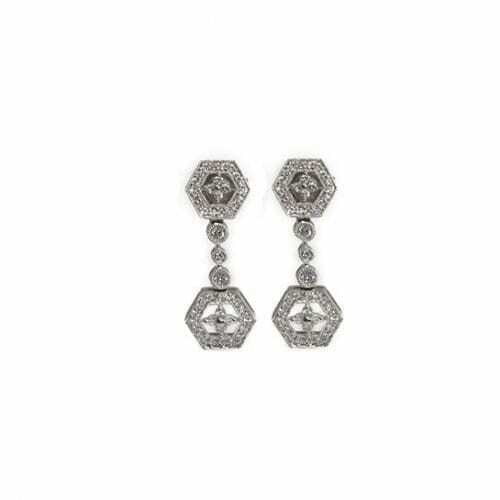 Round diamond earrings with diamond halo. 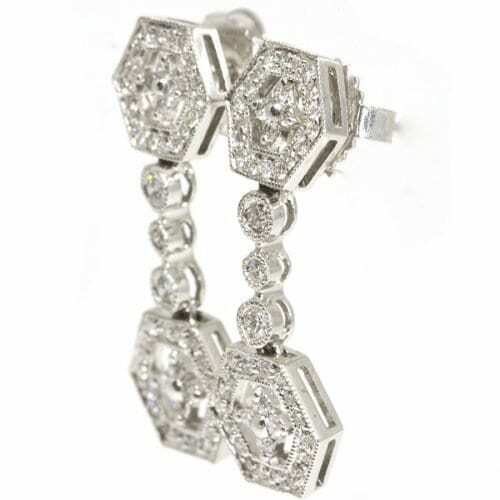 14k white gold with diamonds in a double hexagon shape drop earrings.